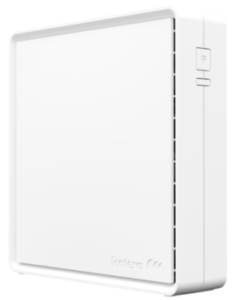 The i3550 is a Wi-Fi Access Point, repeater, Ethernet and wireless bridge that delivers 1733+600 Mbps Wi-Fi throughput. It includes the latest 4×4:4 802.11ac Wave 2 & 2×2:2 bgn Wi-Fi standard. Without complicated configuration, the i3550 simply configures itself and other network products to deliver the best possible networking experience whether it be cabled or wireless using techniques such as wireless roaming, meshing and secure authentication.